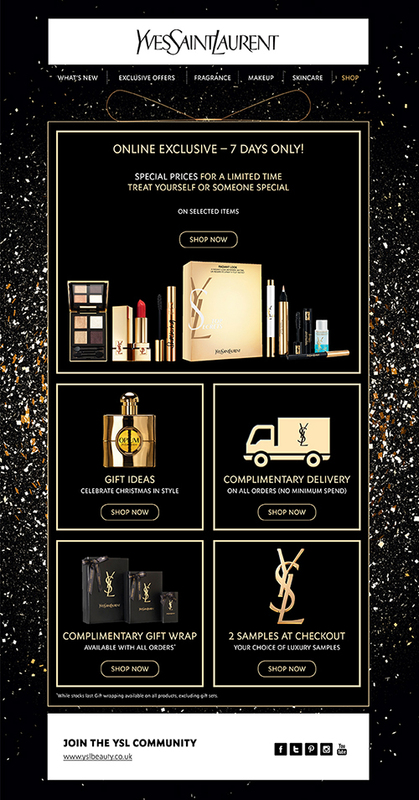 Splashdown design a gift inspired e-mailer for the YSL Cyber Monday campaign. Spreading a little sparkle the e-mail highlights the on-line exclusive programme, luxury gift ideas and complimentary services. Who could resist a little Christmas treat!